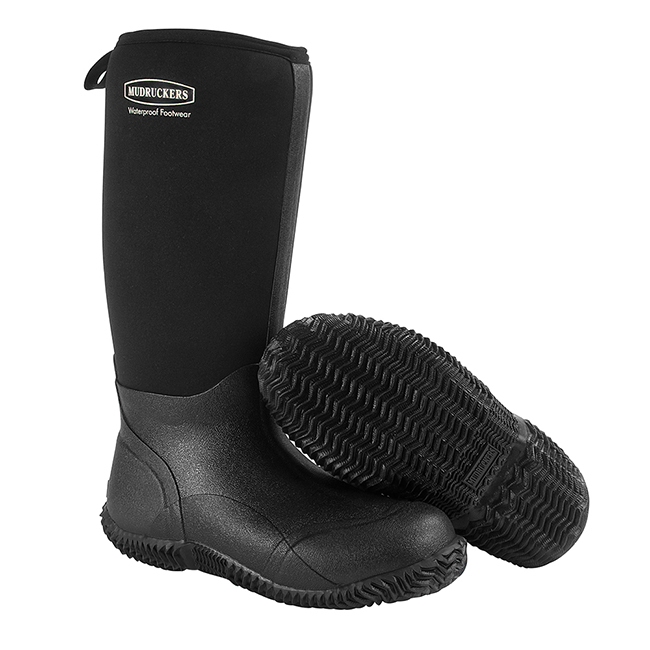 These rugged, waterproof stretch neoprene lined, slip-on boots will keep your feet dry and comfortable in any weather. The lightweight, flexible boots are stain-resistant and feature a removable EVA sock liner and a 100% breathable, innovative Comfort-Flo™ lining that eliminates the sweat and heat of other boots. Mudrucker boots keep you comfortable so you can focus on your work or play in the barn, in the garden, or anywhere else normal footwear can't go. The rubber shell and nylon upper are very easy to clean up with a spray of water or a gentle scrubbing with soap and water.